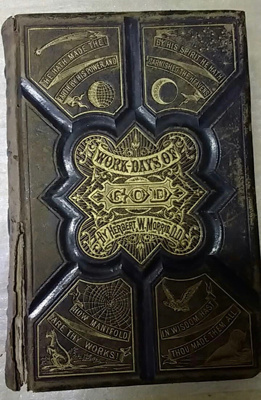 Work Days of God, by Herbert M. Morris, D.D. 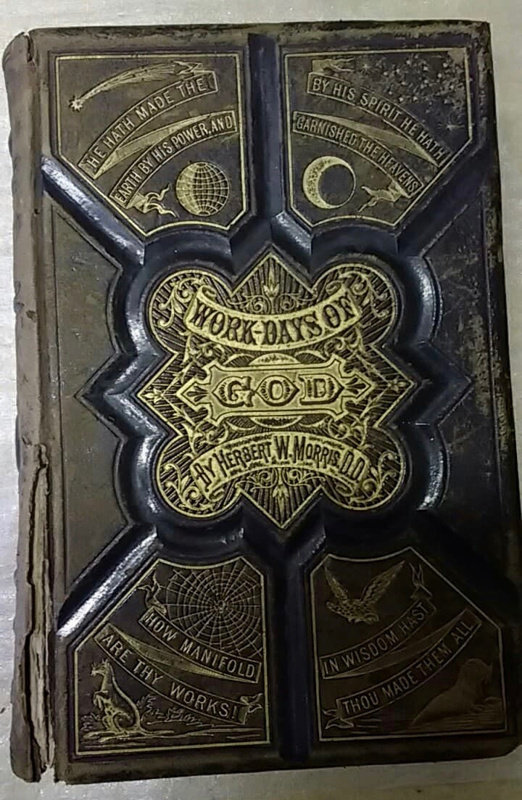 Work Days of God, or, Science and the Bible, a new and enlarged edition. By Herbert M. Morris, D.D. Published by J. C. McCurdy and Co., Philadelphia, 1877. This large volume contains 714 pages concerning the days in which God made the world, while taking science into account. It includes a handwritten inscription reading: "Robert Roe, Pender Island, BC, Canada. What a wonderful description of God's kindly teachings with & for Man his creatures. 1/12/21." J. C. McCurdy and Co.